We’ve all been there—after countless hours of design and development, we share a polished version of a product only to have it torn apart and smashed to pieces by other stakeholders on the project. All that work, all of that time and energy—lost. Gobs of money thrown down the drain. On that long walk back to the drawing board, we swear the next prototype we share will have just enough context to get feedback on direction—but how did we even get here in the first place? There are lots of ways to prototype—and just as many ways to sabotage your work at square one. Before you go all in on your next mockup, keep these three prototyping gotchas—common and preventable hiccups, missteps, and mistakes—in mind. And don’t do them! Do it with pen and paper. Take it to the whiteboard. Use a tool like Freehand on your desktop, laptop, mobile, or tablet to draw, edit, and share ideas (before you commit to them) for feedback. However you go about it, lo-fi rules—and not just because the ’90s are back. The art and craft of digital design is about way more than simply making something look pretty. Your pixels need purpose; each and every one must be intentional if you want to make an impact. What are your intentions? What problem are you trying to solve for your user? What are your goals, strategies, tactics, and metrics? You need a documented plan—from the beginning—to give your users a truly undeniable screen experience. As designers we do ourselves a disservice when we critique other apps with little/no context. Generally the critiques I see on Twitter are focused on visual design with with little/no knowledge of the users, product/biz goals. 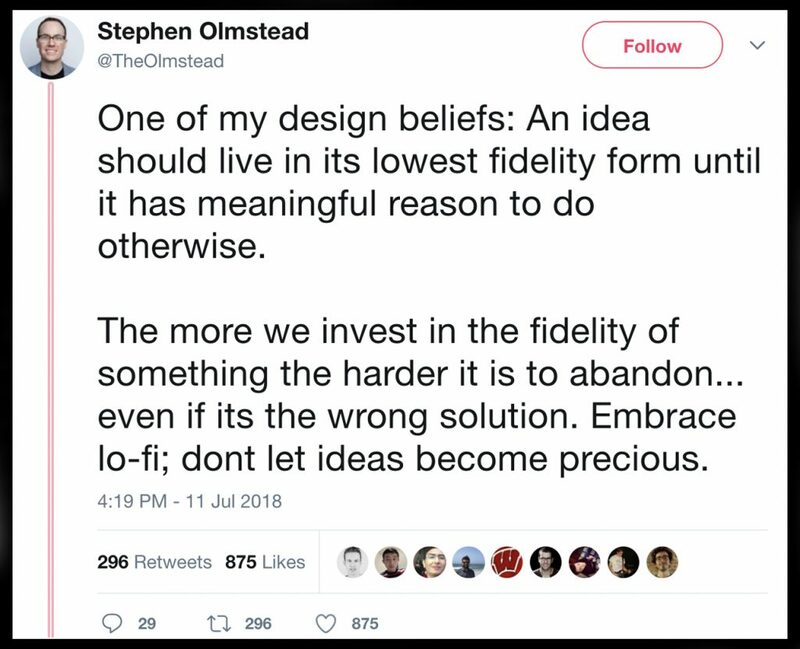 Documenting your all-encompassing goals helps you avoid costly redesign curveballs by gaining coworker and client buy-in before you go hi-fi—and before engineers start building. When it’s finally time to go from lo-fi to hi-fi, you can help stakeholders better understand, appreciate, and respond to the experience you’re trying to ship by utilizing real images to represent what your users will soon see in product. If your needs aren’t too custom—for example, they don’t require specific illustrations—stock imagery tools like Craft Stock or even UI Kits can help populate your design. Even if you don’t find the perfect fit, an image that more closely resembles the idea you’re trying to convey is better than an empty gray box. These three gotchas are just the tip of the unnecessary-iterations iceberg. Help your fellow designers avoid the pains of your past by sharing the gotchas you’ve encountered most—and how you solved them. Tweet us @InVisionApp with #prototypegotchas for a chance to score a free InVision graphic tee! How I became a designer — my experience in design 101.